Sunil Gavaskar celebrates his 67th birthday. Time and years have passed by, but the legend of 'Sunny' stays on forever. The word of the great commentator and story teller Harsha Bhogle holds a lot of truth. He was like a representative of God, to save the country from misery and bring some charm. Sunil Gavaskar has his name written in the history books as one of the best opener’s of all time. He celebrates his 67th birthday today. Times and years may have gone by, but he still remains as one of the best, if not the best. He had a lot of success as an opener in the longer format, which makes him a class apart. Gavaskar had a 16 year old career spanning from 1971 – 1987, during which he played 125 Tests, scoring 10,122 runs at an average 51.12. The career of Sunil Gavaskar should be analyzed with regard to the time he played, for he existed during a time when there were a lot of fast bowling resources. He held many records during his playing days, he was the first to 10,000 runs and 30 Test centuries. 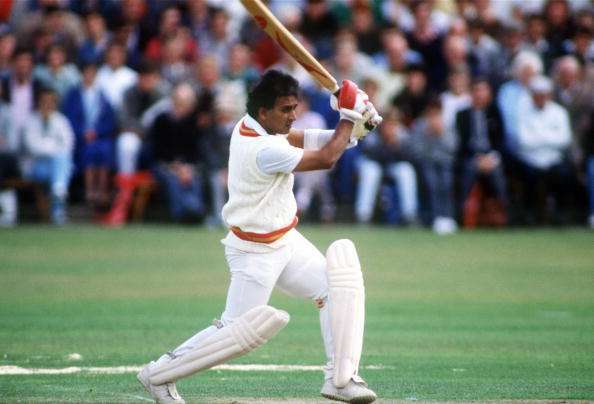 Gavaskar had a perfect batting technique to couple up with the extensive amount of concentration he possessed. Along with these records, he had 34 centuries which was beaten only in 2005 when Sachin Tendulkar surpassed it. He flourished at a time when fast bowling was deadly, furious and incredibly lethal. He had exceedingly good amount of concentration, a perfect technique and equally good range of strokeplay. Gavaskar came at a time when, Indian batsmen had been found so poor against quality fast bowling and he gave resilience to the team that it lacked before. Even when India had some really good batsmen like Vijay Hazare and Polly Umrigar, it was Sunil Gavaskar who showed the world that Indian batsmen could play fast bowling. He was in other words, the torch bearer of the golden age that the Indian team would have in the years to come. 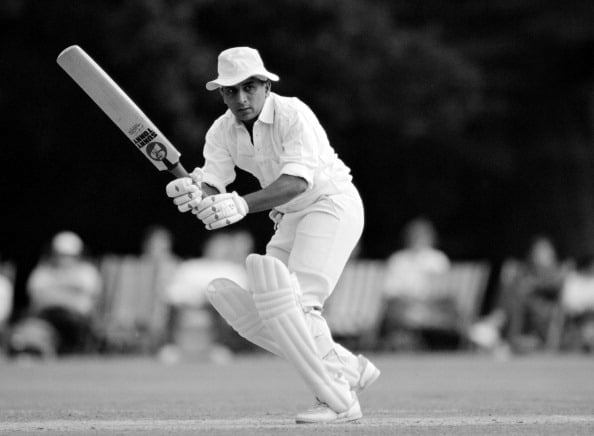 From the time Gavaskar made his debut, he was poised for big things in future – scoring 774 runs on debut. From the time he made his debut, he always made sure the opposition had to earn hard for his wicket. He had one of the best defence you will ever come across – unbreachable and unassailable without a pinch of loophole. He always guarded his off-stump well, and left the ball outside the off-stump alone. His concentration levels were second to none, he knew to make the bowler dance to his tunes. When the bowler bowled closer to his body, he made sure he played risk free cricket and there was his gorgeous straight drive. There have been situations where he wouldn’t hear anything from his non-striker or the opposition bowlers, for he had his eyes fully on the ball – day in and day out. Point to be noted here is the quality of fast bowling during the period. He played his cricket at a time which had the best crop of fast bowlers like Imran Khan(Pakistan),Richard Hadlee(New Zealand), Ian Botham(England),Jeff Thompson(Australia) to name a few. From 1975 – 1979 Gavaskar had his best years in international cricket. He averaged 59.91, during which he amassed 4434 runs and 18 hundreds. 2.Gavaskar has scored more than 1000 runs in a calendar year 4 times in a career. Apart from his prowess as one of the best batmen in world cricket and known as the ‘Little Master’ by his team-mates due to his height, he has also proved his merit as a cricket administrator and commentator. You have conquered the toughest of bowlers and done exceedingly well in the toughest of batting conditions. Once again, Happy Birthday ‘Little Master’. With that single, the master moves on to 67!